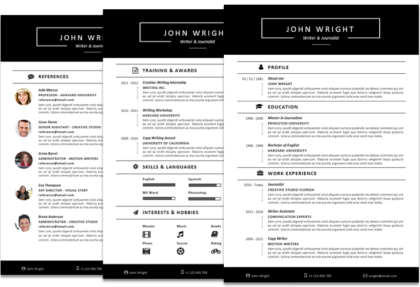 The John Wright resume template – with sidebar is a very interesting looking and elegant resume template. The vertical black stripe, featuring the candidate name and profession, catches the eye and gives a professional introduction to the candidate. 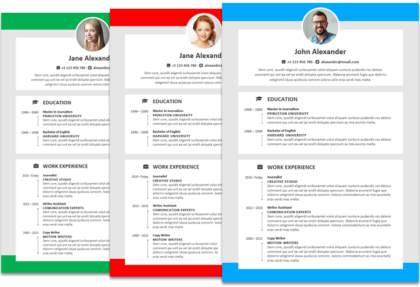 The candidate information and content, such as “Profile Description”, “Education” and “Work Experience”, are conveniently outlined on the side of the first resume page, which is included with Package 1. All instances can be modified in order to provide the opportunity to extend or reduce the candidate information. You can also copy-paste instances and sections around, you have full control. 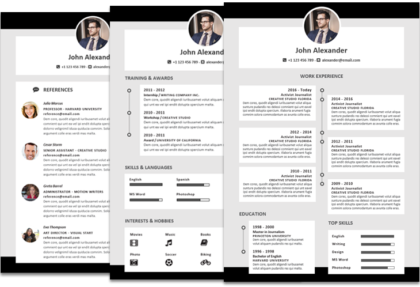 This is a resume template for MS Word and can be therefore modified or customized in all its parts, including the possibility of adding a candidate photo or change the color of any of the elements. 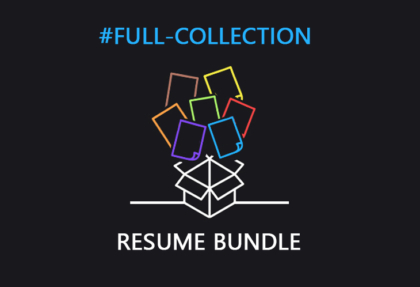 Package 2 extends the package offering by including the second resume page with additional sections (“Training & Awards”, “Skills & Languages”, “Interests & Hobbies”), and also a Reference Page and Cover Letter, all matching in style. Those sections can be customized as well. In fact, “Training & Awards” could be used as an additional “Work Experience” section, perhaps continued from the first page. The “Skills & Languages” section could be changed to anything can be measured by the measuring bars. The “Interests & Hobbies” is a section where one can list by icons. 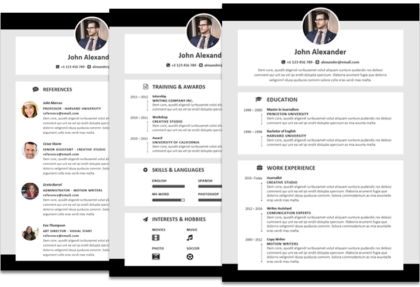 There are 675 icons that are included in every Package of this simple and clean resume template. It is a wide selection of icons that can be used for any purpose, for example to be used next to the resume headers, if one would like to create new sections, or replace the icons of the existing sections. Ultimately, the candidate contact details and information are provided at the bottom in a sleek black footer, for an easy and convenient reach by the recruiter. 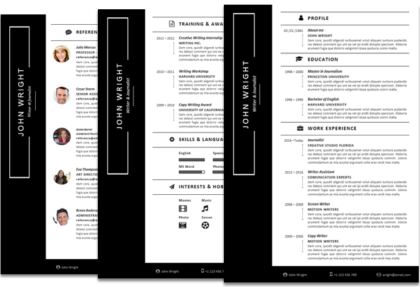 Such an interesting and functional resume template with sidebar, I must say. 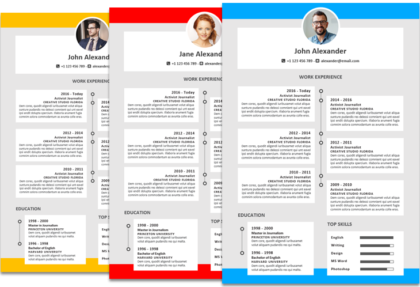 Not easy to find cv templates that are creative but functional with a sidebar, great job. Surely one of the modern resume formats that presents you well. There are templates microsoft that are unbelievably looking great and creative. 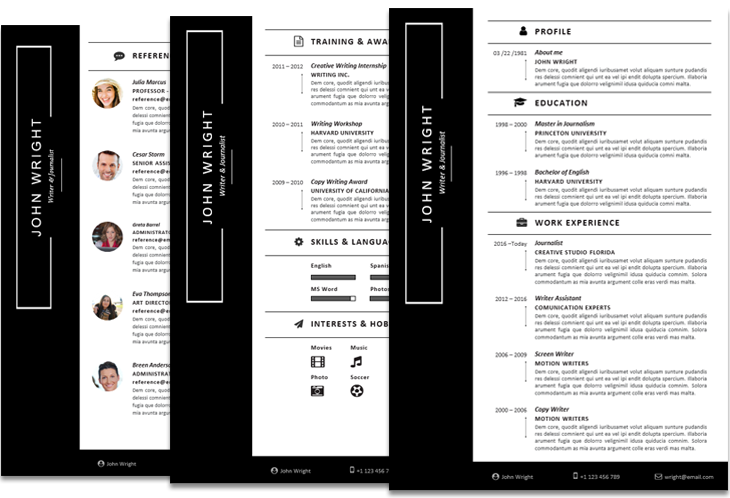 In my opinion this is well structured and functional resume template, being for microsoft word it’s a plus! I wanted to design templates for word, but better to download one I think. The sidebar makes it look a great curriculum vitae to have. I want to download this cv for word, I need to apply for a job. 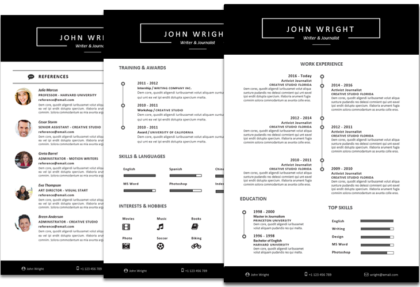 Having a contemporary resume template it’s a must these days, I think. I need this curriculum vitae template to download before I apply for my next job.